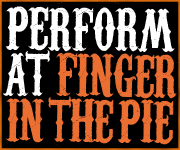 Finger in the Pie Cabaret present a night of mayday mayhem! We invite you to make the most of your Bank Holiday Monday lie-in with a night of London’s most exciting cabaret artists hosted by the outstanding Michael Twaits. Joining us in May we’ve got the multi talented master of magic Simon South; star of BBC1’s So You Think You Can Dance Alice Woodhouse and her troupe of dancing delights – Garters and Lace; heroin of the hula hoop and contortionist extraordinaire Emma-Louise; we’ve got relationship advice from the one and only doctor of love herself – Ana Esmith; cabaret crooner and boylesque starlet Captain Anchor; not to mention our usual bevy of burlesque beauties including the fabulous – Oh! 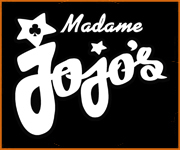 Carolina, Fleur du Mal, Leela and The Pin Ups; as well as the comedy stylings of Madame Magenta and Olga and Olaf. Burlesque artist, storyteller and comedienne Zoe charles founder of the famous cheek of it school of burlesque, gives us guided tour behind the glamour, a charming, cheeky and downright hilarious personal tale of a girl in search of normal and finding naughty. Simon South and Fleur du Mal are: Uneasy Alliance, the amazing and astounding cabaret and magic act! Uneasy Alliance is a fantastic and unique magic act, jam packed with terrific tricks, mysterious mind reading and weirdly wonderful stunts! Captain Anchor is a cabaret crooner and burlesque boy based in Kilkenny, Ireland. Captain Anchor has a silky smooth singing voice and a strong dance background gained from performing in musical theatre shows. 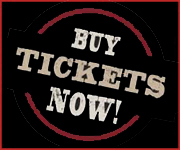 Captain Anchor has performed at Edinburgh Fringe Festival, London Burlesque Festival, and Brighton Fringe. This act is a combination of hula hoop,contortion and dance. An upbeat Charleston styled pice that is guaranteed to leave the audience thrilled, excited and wanting more. A dynamic high tempo routine that captivates you by the spinning of multiple hoops! A sideshow striptease with a sting in the tail! “Audible gasps and copious whispers from the audience as her bed-of-nails routine contrasted the shocking elements of circus with an elegant beauty. “ – James Brown, photographer. A glamorous and elegant striptease with a classically Noir soundtrack, this is one of Fleur’s most requested routines and a firm audience favourite. Is there a doctor in the room? Ana Esmith from Espain, A&E Love Counsellor, introduces to the U.K. for the first time her revolutionary fun love rehab: HURT CLUB. From the country that gave the world Carmen, Blood Wedding and Antonio Banderas – in a word, passion, Dr. Ana Esmith leads her audience through rules, mantras, role plays, songs, hugging and tea breaks to prepare them for new love. Leela started her Burlesque career in Melbourne. Since then, she has headlined, written and starred in her very own show. Leela sings, strips and most importantly, entertains! Leela brings to Burlesque a unique style… Audience participation is a must! The Pin-Ups are a Vintage Cabaret Entertainment Act, taking inspiration from the femme fatale art work of Gil Elvgren. Our flirtatious performance works explore the connections between vintage themes and modern day trends, giving popular appeal. Aiming to uplift audiences with their creativity and charisma, each artist animates existing Pin-Up icons of the WW2 era, bringing a little taste of heritage into the current market.